Civil and Structural Engineering | UNI Engineering, Inc.
U.N.I. has extensive experience engineering vessel and equipment foundations, dikes, storm water and process drainage systems, roadways, catch basins, and other designs. 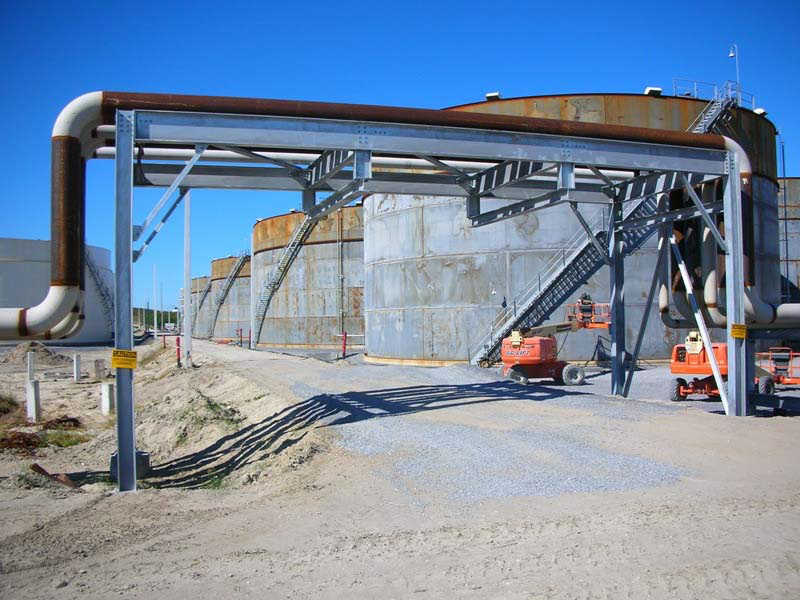 Structural steel design includes new and modified steel for tank, vessel and other equipment support, platforms, stairways, and grating. U.N.I. will prepare civil and structural plans, sections, and details, specifications, scopes of work and other support documents.